Right now, many people are anxiously awaiting the arrival of the most significant upgrade to date to Apple’s popular video chat application FaceTime. With this, multi-person video calls will become available. Even for the casual user, this is a pretty cool upgrade option. As I sat here thinking about how communication has changed so much, I began to think about one of golf’s greatest attributes. Before smartphones, tablets and social media, we had the original face-to-face meeting space. It’s called golf! 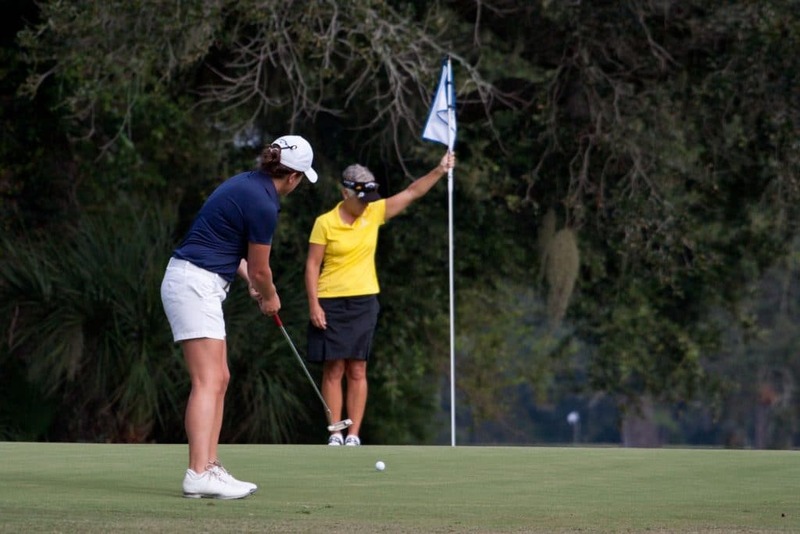 Between tennis and golf, I’ve been a certified teaching professional for more than 20 years. During this time, I’ve also served as a business owner. As is the case for any businessperson charged with identifying and managing strategic growth opportunities, meetings were commonplace. Here’s the interesting part. Over these years, only one of the most pivotal deals that I’ve made to advance my businesses has occurred at a desk or table. A few of the earliest ones happened on the tennis court. But the biggest ones? During rounds of golf. Without question, golf has played a huge role in my ability to grow businesses and create valuable alliances. In many ways (beyond golf instruction), golf has been my office place. And like it has been and continues to be for so many executives and entrepreneurs, golf serves as the ideal negotiation space. To date, I have yet to meet a business person who regrets learning to play golf. It just doesn’t happen. Data collected by the PGA from business professionals support this notion in many ways. When asked about sports that potentially serve as the perfect networking tool, 54% of respondents cited golf. Only 8% selected football. As a huge football fan, I’ve been an NFL season ticket holder for many years now. Each game is exciting and makes for a wonderful time to have fun with new and old friends. But I would tend to agree that there’s just not much happening on Sunday afternoons (or Saturday for you college football fans) in terms of business development. Most of us always sensed it, or at least suspected it. Those days when the office is eerily quiet, and more than a few people are nowhere to be found. Where is everyone? How about this scenario: You and your colleague Susie joined the company at the same time last year. Susie’s a golfer, so she participated in the company golf event a few months ago. At the event, Susie had the opportunity to spend time with several company executives and influencers. With this expanded network, Susie increasingly has opportunities to demonstrate her value as a professional. That same study estimates that a whopping 90% of Fortune 500 CEOs play golf. That means 9 out of 10 company bosses hit the links on a regular basis! There are no guarantees, but this information clearly suggests that being a golfer can give you a leg up when business and golf converge. From company leagues to industry networking events, golf happens – a lot. Make the time to begin developing your golf skills and let those around you know you’re in the game. You’ll be amazed at the number of high quality relationships that come your way. The way you walk. The way you talk. The way you golf. Golf – the original face time. A round of golf can serve as an opportunity to gain insight into a person’s authentic self. It’s character revealing. It’s the language of many decision makers. So if you’ve not yet tried golf, I invite you to give it a chance. If you’ve tried it but didn’t have a great experience, I invite you to try again. Please consider reaching out to find a welcoming community of golfers near you. Moreover, I encourage you to reach out and find a certified LPGA teaching professional. There’s never been a better time to become a golfer – just do it! Which Golf Ball Should I Use? Scramble vs. Best Ball Golf Formats: Not the Same! © 2018 Dr. Greta Golf. All Rights Reserved.